When I was younger cameras, film and developing were expensive. People didn’t have much in the way of disposable income, certainly not where I grew up anyway. So it was very much a case of buy & develop some film or get gig tickets; going out with friends was always the more attractive option. I didn’t have any family or close friends that were into photography, the point, shoot & hope method was as good as it ever got. Composition, depth of field and other terms are all new concepts to me. Photography equipment is still expensive but definitely more accessible so I decided to buy a reasonable camera that has more functions than I know what to do with. Ultimately these are clever marketing ploys from camera companies as it means the average person can use the pre-sets and get some nice looking images. That is not what I want to do. I want to try and learn to use my camera in manual mode (Most of the time). I’m not knocking the pre-sets and I’m sure at some stage I will fall back on them or use them to get an understanding of what manual settings to select further along my learning curve. Some people that have inspired me to just get on with it are Nick Knight a British fashion and documentary photographer. I wonder if he knew what he was doing back in the 80s when he walked around with a camera, did he know fashion was where he was going and did he know or even want to make a living out of photography. I know of him due to his first book of photographs, ‘Skinheads’, which was published in 1982. ‘Skinheads’ were portrayed as violent british thugs by the media but in reality they were as much a fashion then and now as are all the other youth tribes of yesteryear and today, like mods, punks, teds, suedheads, soul boys and so on. Far too complicated to discuss here so I am going to move on. Another photographer who seems to have come from the same genre is Gavin Watson. Again, his subjects were something I could relate to and I like the natural relaxed and raw images he captured because they documented how life was. In interviews he (Gavin Watson) seems like a decent humble person. His photography was done as a hobby and I get the impression the credit he very much deserves has found him by accident. I’m new to the world of photography & am not able to pluck the names of famous photographers out of the air. There are certainly other fantastic photographers out there that haven’t been discovered yet and those that have become trendy, in vogue because they know the right people or have boldly forced doors open for themselves, creating a unique style either in their approach to photography or the post production side of things. Ami Barwell is one of those photographers who has a very distinctive style. I was introduced to her work when I visited The Circle tattoo studio . She is currently working on a project with them and Converse. Lee Jefferies is another example of someone that has a very recognisable portraits. The photographers named above are just a few good examples of people that I can learn from but its not just about them. A friend that really opened up my eyes to photography Matt White is very very much a natural photographer that seems to have a tacit knowledge and understanding of exactly what makes the photo. He is the one that can be credited with opening my eyes to just how important and powerful photography is. I’m certain you’ll hear and see his name again as he starts to get the credit he deserves. Finally here are three of my own photographs and pretty much my starting point. 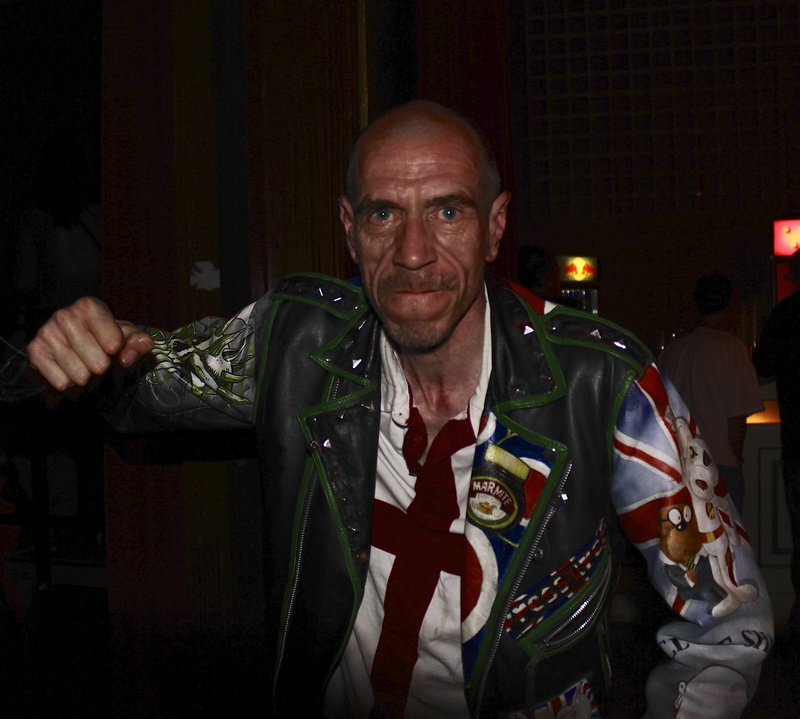 British Punk at The Berlin Punk & Disorderly Weekend. Berlin, April 2013. Funny thing is that I thought it was the photographers job to try and make the subject relax so you capture the images you want. In this instance it was the other way around and he was happy to have a portrait taken as long as I took some photos of his jacket that he had hand painted with the event promo poster. Street Homeless. Charring Cross. 2013. The street homeless are a subject of street photography and in my personal opinion not many photographers give the people the time of day or the opportunity not to have their photograph taken. Yes street photography needs to be natural and is a valuable way of showing real life. I had a chat with this lady who agreed to be photographed as it was for a personal project to do with contrast(s). Her only request was that I didn’t show her face. 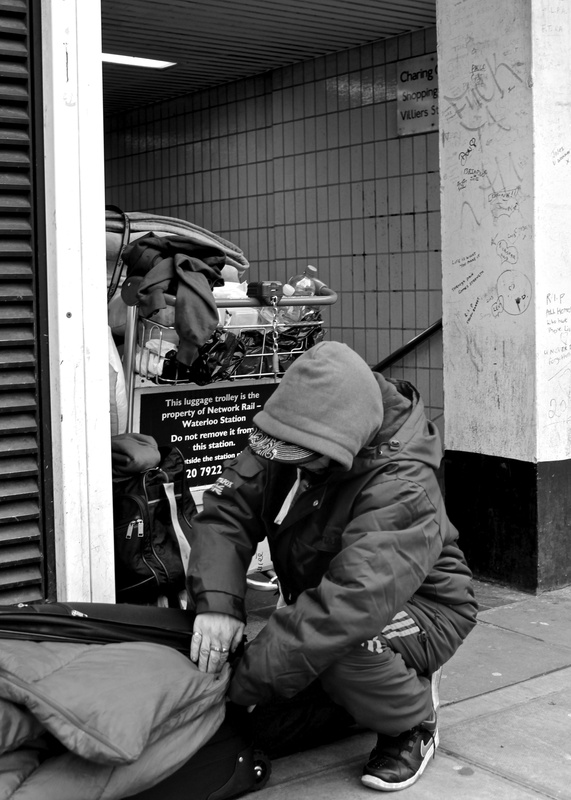 People end up living on the streets for a number of reasons such as escaping an abusive relationship. I would urge any street photographers to consider whether or not it is necessary to fully expose the persons face when capturing images of the street homeless. 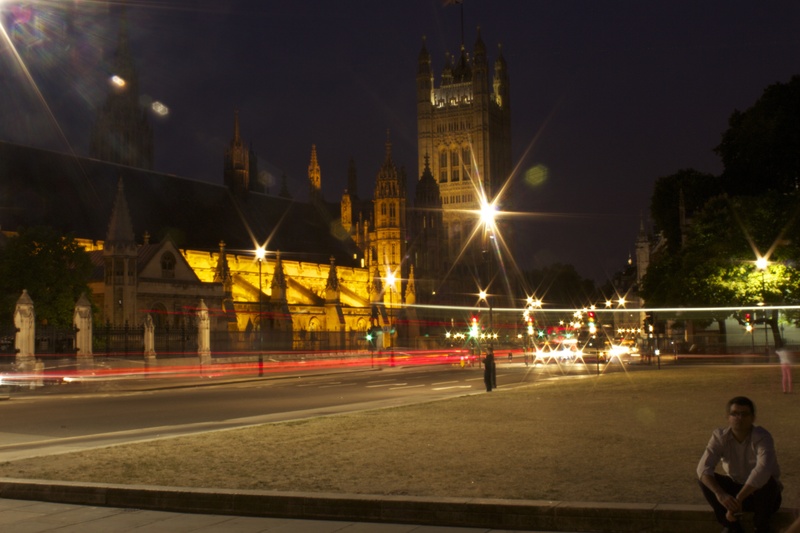 Parliament Square. London. July 2013. My very first image using manual settings. So that is my first blog. I hope you stick around and we might just learn something from one another.